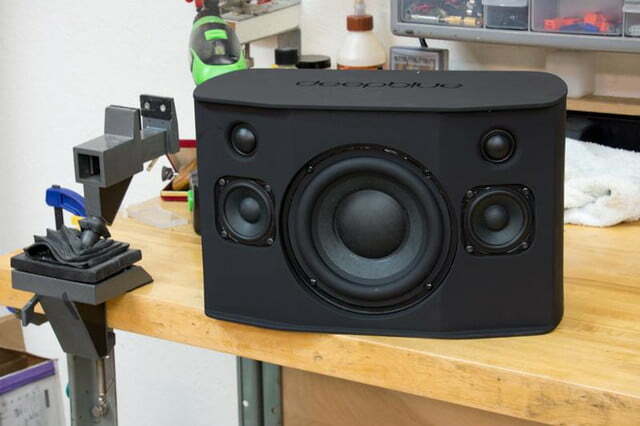 With so very many Bluetooth speakers in the marketplace, the concept can get a bit tedious. In fact, it takes a serious tectonic shift to even register on our Bluetooth richter scale these days. But when the audio artisans at Peachtree revealed their latest creation on Indiegogo yesterday, deepblue2, we must admit we felt some serious tremors. A follow-up to the original deepblue, this powerful block of sound offers an aesthetic that’s equal parts elegance and brawn, hinting at a sound beneath that’s equally diverse. 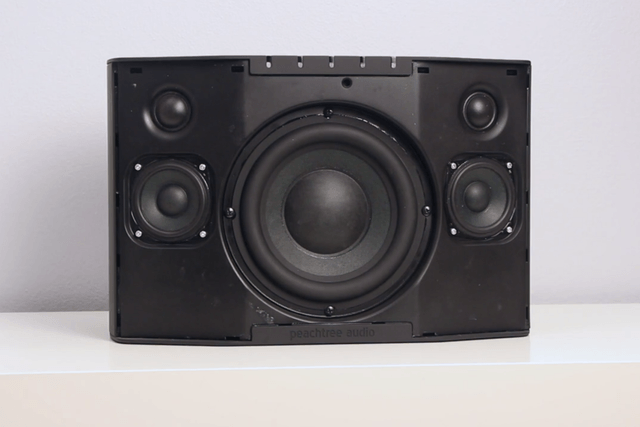 The system is designed to deliver the “full-range powerful sound of a big hi-fi stereo system,” and to that end it’s loaded with powerful components. 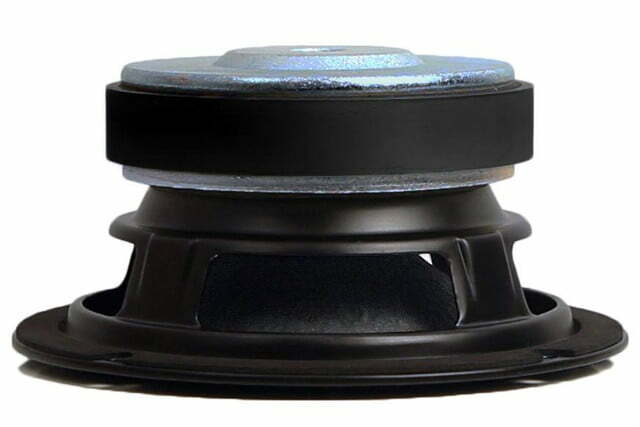 Below its grill, deepblue2 harbors a heady arsenal of drivers, including a huge 6.5-inch long excursion woofer at the center, surrounded by twin 3-inch midrange drivers, and a pair of 1-inch soft-dome tweeters, set in a three-way configuration to cover the full range of sound. The drivers are set in an acoustic-suspension (sealed box) configuration to keep bass tight. To power its arsenal, the system employs a claimed 440 total watts of amplification — a massive output for its size of less than half a cubic foot. 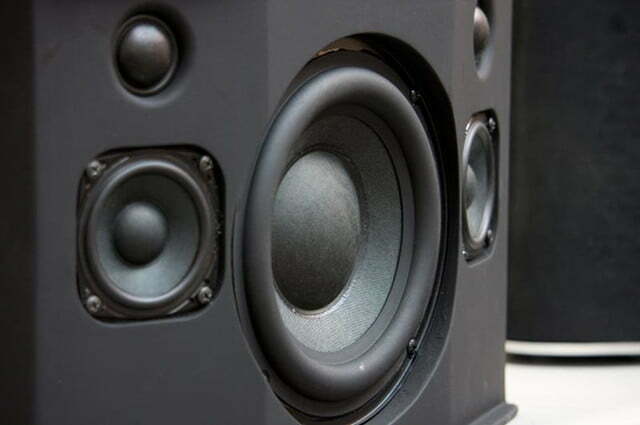 Connection options for the system include Bluetooth with aptX for CD quality streaming from compatible devices, a 3.5mm hardwired analog input, and an Optical digital input, the latter of which is capable of reproducing hi-res digital audio up to 96kHz/24bit. deepblue2 The Ultimate Bluetooth Speaker Designed by Peachtree Audio from Peachtree Audio on Vimeo. At the time of this post, deepblue2 was fully funded, reaching $106,500 of its $63,000 goal in the first day. The company has already sold out of its early backer special at $250, or half of the expected $500 MSRP, but if you’re up for some savings, you can still get in at the $300 level as of publication, with around 450 left. 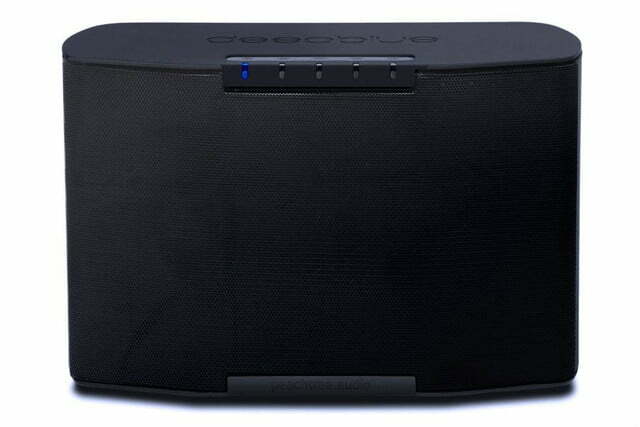 Peachtree’s deepblue2 Indiegogo campaign closes August 22nd.